Troubleshooting a unit while installing into a machine can sometimes be tricky and slightly different opposed to checking it on a bench. Some helpful tips can be found in the video provided that can hopefully take some of the trouble out of the equation. Verify power to the machine is OFF! Always use a lock-out tag-out system when going to do extensive troubleshooting and there’s a chance that you will walk away while in the middle of it. If a winding select contact is used, the megger test can be performed directly at the leads being disconnected from the drive unit. If any odd readings show up, it would then need to be checked on each side of the contactor to verify which end is causing the problem. 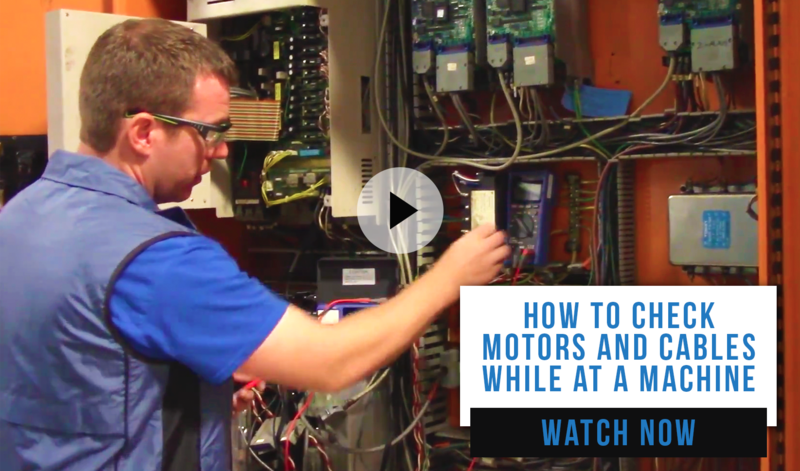 For additional questions or concerns regarding how to check drive and motor units while installing it into the machine, feel free to contact us by phone or email.